Welcome to The Real Wonder of the World site, where you can find out about the global Real Wonders movement. Marketeers Magazine has recently launched tourism and travel promotion for Indonesia Tourism through a campaign entitled “ The Real Wonder of the World.” Fully supported by The Department for Tourism and Economic Creative, Republic of Indonesia, this is our initiative to promote the Indonesia destinations as the real wonder of the world with its wonderful wildlife, wonderful nature, wonderful underwater, wonderful culture, and sustainability. 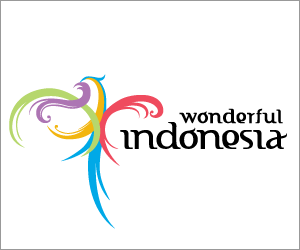 This program is also our first initiative to promote authentic tourism spots marketable for foreign tourists, travelers, and divers, with the same spirit of Indonesian government tourism campaign “Wonderful Indonesia”. Our activities for this “The Real Wonder of the World” campaign will include several initiative. “The Real Wonder of the World” program is also aiming at reference platform to promote a series of long objects, sites and destination tourism of Indonesia that has been entered in the UNESCO World Heritage List as Ujung Kulon National Park, Tropical Rainforest Heritage of Sumatra, Komodo National Park, Prambanan Temple, Borobudur Temple, Carstensz Pyramid, dan Sangiran Early Men Site, as well as those who are still in position “tentative status” as the World Heritage List, such as Raja Ampat, Bunaken Marine Park, Wakatobi Marine Park, Pura Besakih, Derawan Archipelago, Muara Takus, etc. The Program also will be a platform for the promotion of intangible objects and tangible that is cultural heritage such as Wayang, Batik Indonesia, Keris, Angklung, Saman Dance, etc., as well as for promotion of the preservation of flora and fauna typical of Indonesia such as the Orangutan, One Horned Rhinos, Sumatran Tigers, Papuan Kangaroo, Sumatran Elephants, etc. As program launching to promote series of wonder of culture and nature in Indonesia, we will organise “Real WOW Party : Konser Keajaiban Indonesia”. United We Stand for Indonesia!